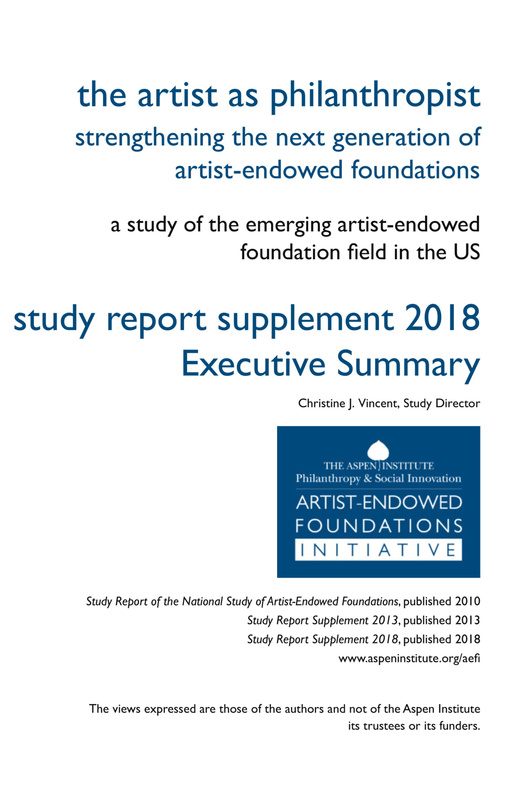 A Guide for Artists and Their Lifetime Foundations: The Dos and Don’ts, the latest publication from the Aspen Institute Artist-Endowed Foundations Initiative/AEFI, is designed as an information resource for artists considering establishing a private foundation during their lifetime. 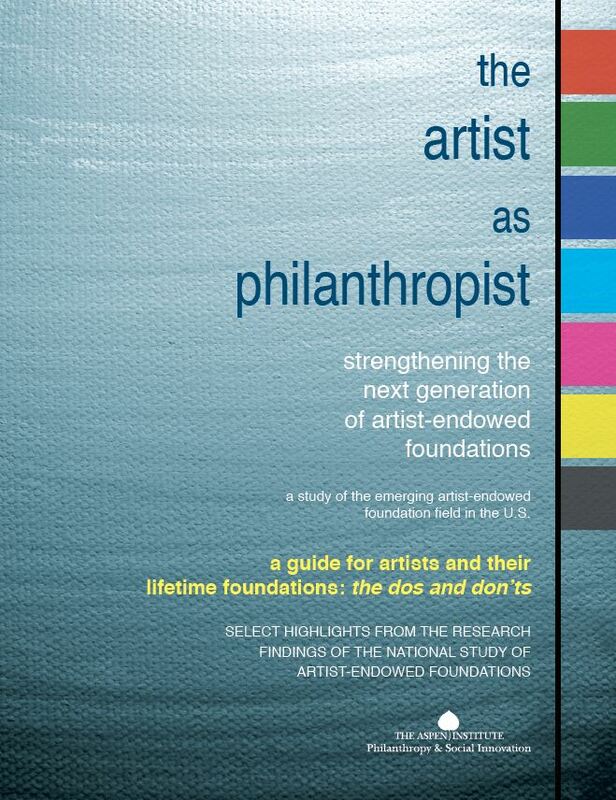 The purpose of this guide is to familiarize artists with basic considerations in creating and operating a private foundation during their lifetime so that they may be better informed when discussing these issues with their legal advisors, as well as with persons who might potentially play a role in foundation formation and governance. 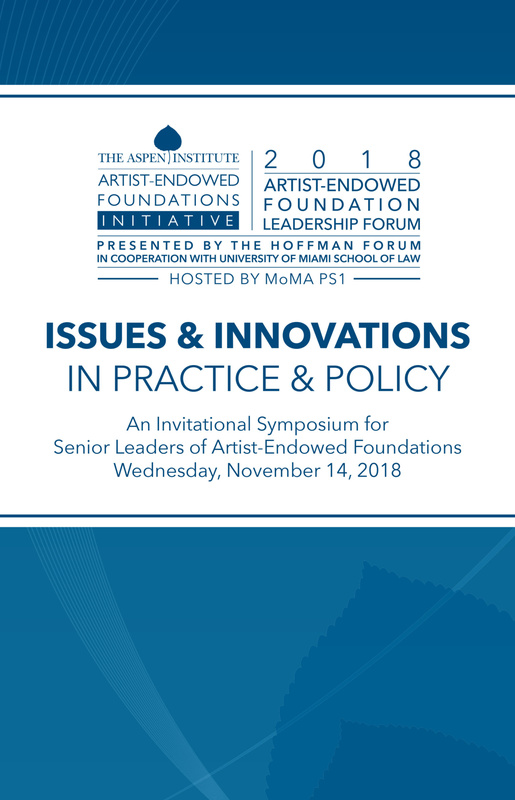 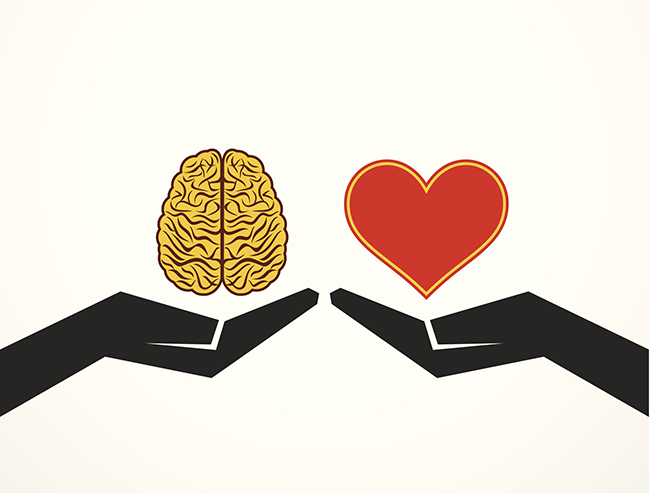 The goal is to promote better understanding as to whether a foundation is an appropriate choice for an artist and, if so, how to create and operate a foundation during the artist’s lifetime that will be successful in fulfilling its charitable purposes.